Cologne - With just three weeks to go until that eagerly-anticipated encounter between FC Bayern München and Hamburger SV kicks off at the Allianz Arena, time is running out for the Bundesliga stars to get into shape for the start of the 2015/16 Bundesliga campaign. That brings an end to our live updates service for another day. We'll be back again tomorrow with all the latest news and social media snaps from around the Bundesliga on a day which sees VfL Wolfsburg in action in the Emirates Cup. Gute Nacht! Hamburger SV striker Pierre-Michel Lasogga, who netted the opening goal against KSV Hessen, used a selection of emoticons to express his delight at tonight's 2-0 win. Wonder what the VfL Wolfsburg players will be feasting on in preparation for this weekend's Emirates Cup in London...? Translation: The Wolves have made it to their accommodation. Now it's quickly up to the rooms before getting together to eat. Lars Stindl opened the scoring as Borussia Mönchengladbach got the better of 2014/15 Portuguese Primeira Liga runners-up FC Porto. Swedish midfielder Albin Ekdal posed for a few photos with the fans following Hamburger SV's 2-0 win over KSV Hessen. SV Werder Bremen fans don't mind giving up their Friday night if it means meeting Alejandro Galvez and Ulisses Garcia..
Norway Under-21 forward Bard Finne had a hand in one and scored another as 1. FC Köln beat Dutch outfit SC Cambuur 2-1 this evening. Former VfB Stuttgart and FC Schalke 04 striker Kevin Kuranyi has returned to the Bundesliga after a five-year spell at FC Dinamo Moskva. The 33-year-old, who has 52 senior international caps for Germany to his name, has signed a one-year deal with TSG 1899 Hoffenheim. Staying with Gladbach, here's how the Foals line up for tonight's friendly against Portuguese giants FC Porto. Don't give up the day job, Kev! Translation: Sebastian Rudy outfoxes stand-in goalkeeper Kevin Volland. Too easy! Here's the HSV starting line-up for their friendly with KSV Hessen. New signing Sven Schipplock is on the bench by the way. Great camaraderie on show in the Leverkusen camp as their last training session in Zell am See came to an end earlier. Andre Schürrle and the rest of the wolf pack have arrived in London ahead of this weekend's Emirates Cup. Hertha fans will be hoping they can look forward to plenty more of this from Ronny in 2015/16, although keeper Thomas Kraft was up to the challenge! Hakan Calhanoglu and his Leverkusen team-mates are taking their leave of Zell am See in Austria as their training camp comes to an end. The Sinsheim outfit have named Pirmin Schwegler as their new team captain for the coming season. The midfielder takes over from Andreas Beck. VfL Wolfsburg are on their travels, only it's not going to be a long hop for them to London, where they will be participating in the Emirates Cup this weekend. First opponents are Villarreal CF on Saturday followed by Arsenal FC on Sunday. Then it will be back to Germany to prepare for the Supercup against FC Bayern next Saturday. Bayer 04 Leverkusen are hard at work in the final training session of their Austrian summer camp, but before they broke a sweat, there was a round of applause for the groundkeeper who had ensured excellent conditions for them in Zell-am-See (Austria). Hamburger SV have secured the signature of TSG 1899 Hoffenheim striker Sven Schipplock. Pierre-Emerick Aubameyang’s talents are wasted in attack… clearly. Alexander Baumjohann and his Hertha colleagues are one of several Bundesliga sides in Austria this summer. Thomas Tuchel’s charges have been hard at work in Bad Ragaz this morning. Emiliano Insua’s next appearance for Stuttgart is likely to be Saturday’s friendly against FC Winterthur. Watch BVB train live at their camp in St. Gallen, Austria. 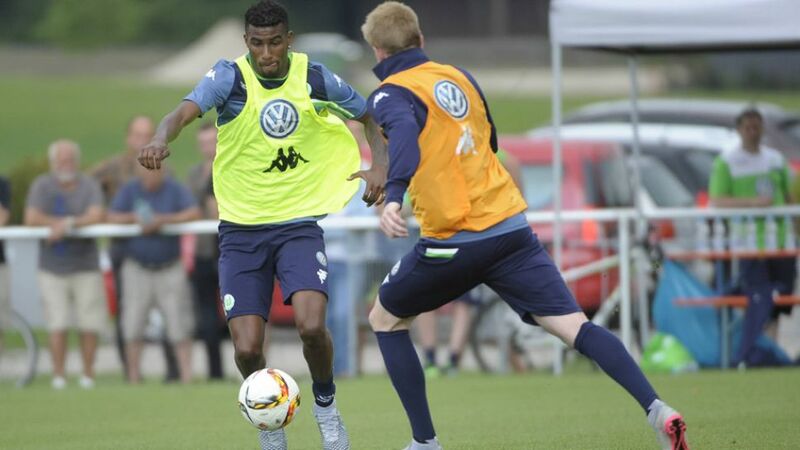 Wolfsburg are heading to the English capital after their final training session in Donaueschingen. Training is as full-blooded as ever on Friday morning. Translation: Good morning from Kitzbühel! The boys are training now ahead of their friendly against Cambuur. Despite missing from twelve yards against Guangzhou on Thursday, Thomas Müller enjoyed his time in China. Werder have won five and drawn one of their six pre-season friendlies to date. Their next assignment - and probably their biggest test of the summer so far - is against UEFA Europa League holders Sevilla on Saturday. While many of their top flight rivals work on their fitness in Austria or southern Germany, Hoffenheim are preparing for the new campaign in Norway. "They’re running again!" reads the tweet below, referring to the VfB Stuttgart players being put through their paces in Austria this morning. They’ve only just arrived back in Munich, but it was straight to the Säbener Straße this morning for FC Bayern München’s players after returning from their China tour. Translation: Still a bit tired? In a couple of minutes the hard work out on the pitch begins. The friendly against KSV Hessen takes place at 18:30 CEST this evening. And a very good morning to you too, sir! New Wolfsburg signing Carlos Ascues is picking up the lingo already. The Peruvian international signed a three-year deal with Dieter Hecking's side on Thursday. Make the most of it, lads…! After a highly successful and enjoyable week in the Far East, FC Bayern München have landed back in Munich following their tour of China.